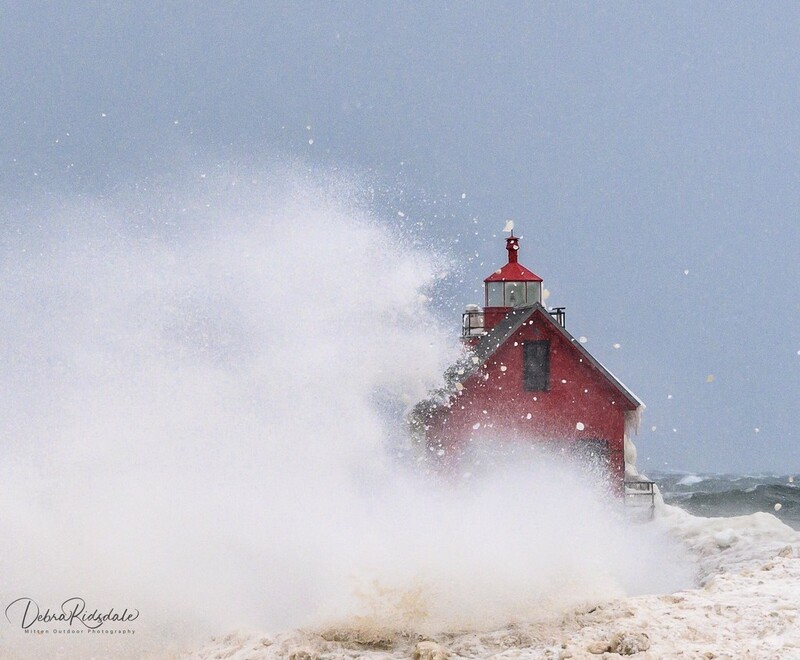 This is a Lighthouse on Lake Michigan during yesterday’s “bomb cyclone.” Not sure where that term came from but it was all we heard on the news all weekend. We had sustained winds of 30+ mph with gusts from 50-60 mph. This started yesterday morning and end early this morning. Winds were brutal and temps were numbing cold. that's a beauty...so many of the frozen lighthouse photos now but those winds sure took it up a notch! Wow - you sure captured this gust so well! Wonderful mix of weather and colour. Great image. Gorgeous! Congratulations on the TT! Congratulations on top twenty! Well deserved.